Released globally today, Jessica will sing the emotive, uplifting and powerful anthem ‘#We Got Love’ at the 2018 Eurovision Song Contest, to be held in Lisbon, Portugal and broadcast exclusively on SBS from 9 to 13 May. Listen to ‘#We Got Love’ HERE and watch Jessica’s official Eurovision video clip HERE. “I love the Eurovision Song Contest. I have since I was a little girl watching it with the family in Darwin. I wanted to write a song that captured that instinctive sense of joy of how a great song can change the darkest of moods into happiness. ‘#We Got Love’ is also about how music can lift the human spirit. You can always rise above in the hardest times with something as simple as a great song. Sure to make waves on the Eurovision stage, ‘#We Got Love’ will allow Jessica to showcase her powerhouse vocals and electric energy on stage at the arena in Lisbon. “SBS has been bringing Eurovision to Australians for 35 years, but Jessica introduced home grown talent to the world stage in 2014 when she became the first non-European solo artist to perform. She wowed the global audience and showcased what Australia is made of – and SBS is thrilled to invite her back to compete for Eurovision glory this year. “Jessica is an outstanding Australian artist who will no doubt capture the world’s attention and the hearts of Europe, with the brilliant song she has written with DNA Songs, ‘#We Got Love’. ‘#We Got Love’ is written by Australian hit makers DNA SONGS duo David Musumeci and Anthony Egizii in collaboration with Jessica. DNA also worked on Dami Im’s 2016 Eurovision hit ‘Sound Of Silence’, which saw the singer land second place and Isaiah’s ‘Don’t Come Easy’placing him in the top 10 at the Eurovision Song Contest in 2017. “’#We Got Love’ is a song about unity and a reminder that love, acceptance and the power of inclusivity can overcome all obstacles or hardships that arise. Especially in times like these where the world can be a very confusing and lonely place, it’s important to remember when we feel disarmed of empowerment that we still hold the greatest chance for change with love. 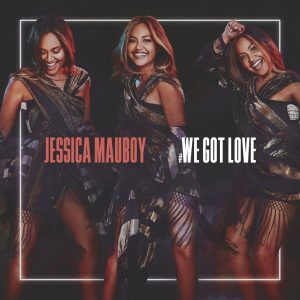 ‘#We Got Love’ is released globally and is now available to stream and download, it will also be available as a physical CD single on May 11th through Sony Music Entertainment Australia. One of Australia’s most successful female artists, Jessica is from Darwin with her mother from the two Indigenous tribes, the Wakaman and the KuKu Yalanji tribes who lived around the cape of Far North Queensland, and her father from Timor. Her musical journey began in 2006 when she captured the heart of the nation as a 16-year-old on Australian Idol, and since then she has achieved five top 10 albums, 15 top twenty singles, four ARIA accredited Platinum selling albums and has won two ARIA Music Awards from 24 nominations. Her songs have been streamed globally over 159 million times and her videos have been viewed globally over 39 million times. She’s toured with Beyoncé, collaborated with Ricky Martin, Flo Rida, Snoop Dogg and Pitbull; performed for Barack Obama, Oprah Winfrey, Ellen DeGeneres and made history being the first non-European solo artist to represent Australia as a guest performer at Eurovision in 2014. Jessica has also starred in Bran Nue Dae, the acclaimed 2012 musical The Sapphires, and in 2016 and 2017, starred in the 2 x 6 part Australian TV series, The Secret Daughter. In 2016, she made ARIA Chart history being the first indigenous woman to achieve three consecutive weeks at #1 for her release of SONGS FROM THE ORIGINAL TV SERIES – THE SECRET DAUGHTERalbum. Away from the microphone, Jessica uses her high public profile to support community organisations and promote reconciliation, multiculturalism and healthy living.